If you are like the majority of businesses these days you are probably trying to use Facebook ads to grow your business. If you aren’t in the majority, well you need to start..TODAY. Facebook has billions of users, so it is no surprise that this social platform is the perfect place to direct traffic and attract customers. The reason that Facebooks ads have become so popular because of the way users interact with the site. On average Facebook users checks their account several times in one day with some sources claiming that the average Facebook user spends anywhere from 15 to 40 minutes on the social platform every single day…. Now think about it.. with your potential clients/customers viewing Facebook for up to 40 minutes per day, you have huge leverage and an amazing advantage in terms of getting your brand out there. Because users are so engaged when they are scrolling through Facebook, they are also more likely to pay attention to the products and services you are offering, and are more likely to be open to clicking through to learning more. The first thing before running any ads is figuring out WHO you want to target. With over 1 billion people using Facebook there is NO chance that your ideal demographic is not on there. -Where is my potential demographic coming from? -What are they looking for? After you’ve answered these questions you can begin to use Facebooks incredible targeting to really narrow down your potential reach. You can target using geo-location and range, age, gender, interests and even the phone that they use. When you have a specific audience, you can tailor your ad to suit their exact needs, which will also help to improve your overall click through rates. Remember, not EVERYONE is your client. Your posts headline is one of the most important things you can change TODAY. Along with your image, your headline is what is going to help you stand our from every other competitor. Your headline is so important that research has found that 8 out of 10 people will read headline copy but only 2 out of 10 will click on to read the rest. Keep it punchy: Research has found that headlines less than 80 characters in length receive 66 percent higher engagement. Headlines between 1-40 characters typically perform the best. Be yourself: Every business is different. Some want to be professional, some cute, some bubbly, some love emoticons whilst some don’t. Play around with your style and figure out what everyone likes! If you didn’t know already, we really hope you did. However, Facebook has a feature that allows your to ad a call to action to your post. Such as, call now, shop now, download, learn more or sign up. 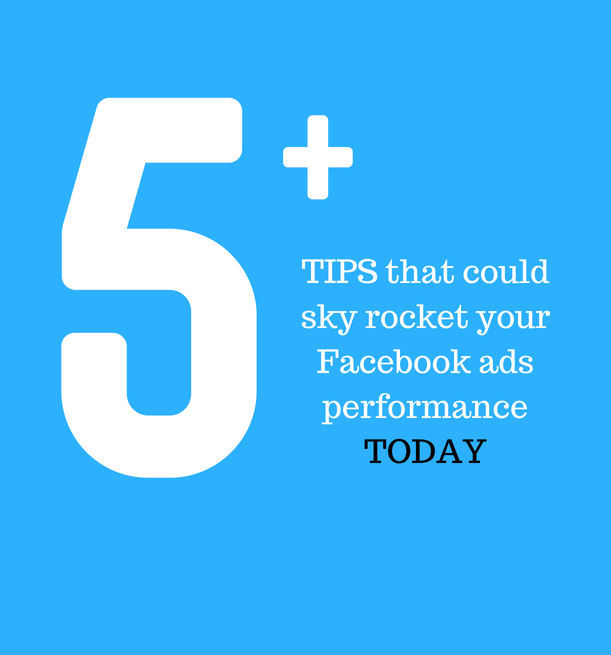 We highly recommend you use this feature as it has been shown to boost the performance of ads. However, like with anything, this is something that you will need to test for your own brand as well. This is as simple as it comes yet so many people still don’t get it right… post at the right time! Every single business is different, however rule of thumb is that the optimal time is between 7-9am and 6-9pm. It’s pretty straight forward, when people first wake up and when people switch off for the day. If you have been running ads for a while now, check our your insights. They should be able to give you an in-depth report of when people are most active on your page. If you’re new to Facebook it’s all about testing. At Prestige, we belive that the image is the single most important thing you can change today to improve your online presence. Do some research, when you scroll through Facebook, what stands out to you? what makes you stop? Choosing the right image/ taking a great photo can be tricky. However, your images put a face to your business…. how do you want to look? Keep it high quality, relevant and be yourself. People want to see the real you. One last tip while on this topic. While Facebook let’s you use images with text, we don’t advise this. The reason being is that Facebook is very strict about images with text and often does not give them preference. Images with text typically get a much smaller reach than images without, so avoid it if possible. Overall, the tips we have given you are so simple and can be implement right now no matter what your circumstance is. If you really want to start getting noticed using Facebook ads, think about what your potential customer wants and deliver it to them using these tips. Choosing the right social media platforms for your business..
Why it’s a good idea to hire a social media agency..